Sant is a word meaning a devotee, a good person, one who is humble, holy, or pious, a saint. In Sikhism, Sant refers to a very pious person having saintly qualities. Some Sikhs believe that the term Sant should be reserved for use only in reference to the Guru, or Enlightener, as no other is deserving of such respect. Devotion - A Sikh Sant adheres to the Sikhism code of conduct, is a devoted disciple of Guru Granth Sahib. Influence - A Sant has a mystical presence and an influence which is capable of igniting spiritual devotion in others. A Sant stresses faith in Gurbani scripture, and Gurmat principles. Humility - A Sant is humble and may never be considered as exalted above Guru Granth Sahib. A Sant may be recognized as an individual with miraculous powers, but always acts in humility, and never for show, or personal gain. Service - A Sant may have a following, and be associated with a worship place maintained by devotees who consider the Sant to spiritually superior, however, the true Sant maintains a selfless attitude and remains ever in the service of the Sangat. Sant may also be a spiritual name, given by parents at birth, taken upon conversion, or initiation into Sikhism. Santani: Female form of sant. Sant Sipahi: Sikh warrior having the qualities of a saintly soldier, who maintains humility and compassion while in the midst of battle. Pronunciation: Sant has a short a sound with a nasal n, which together are pronounced like the word sun, and rhymes with shunt, or punt. What Is the Meaning of Sikhism Term "Paath"? What is the Meaning of Sikhism Term Gurbani? 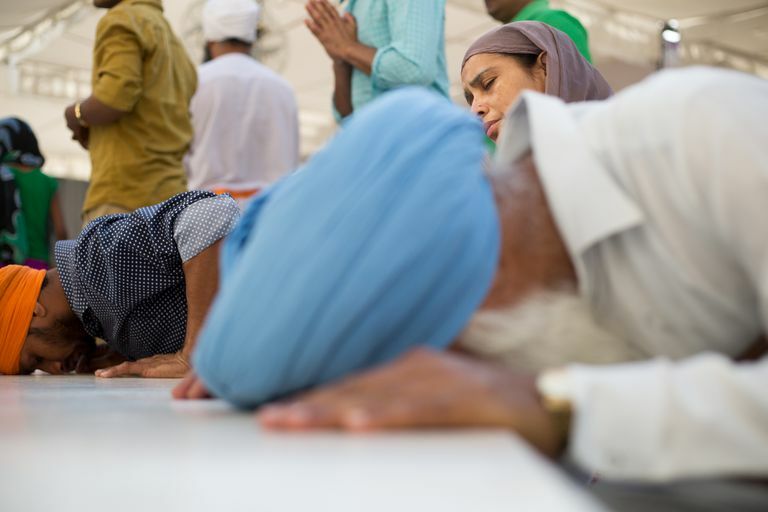 What Is Seva in Sikhism? What Is the Significance of a Shabad in Sikhism? How Are Mala Rosary Prayer Beads Used in Sikhism?